TRBQ Podcast #13 — Is There Really Altruism? 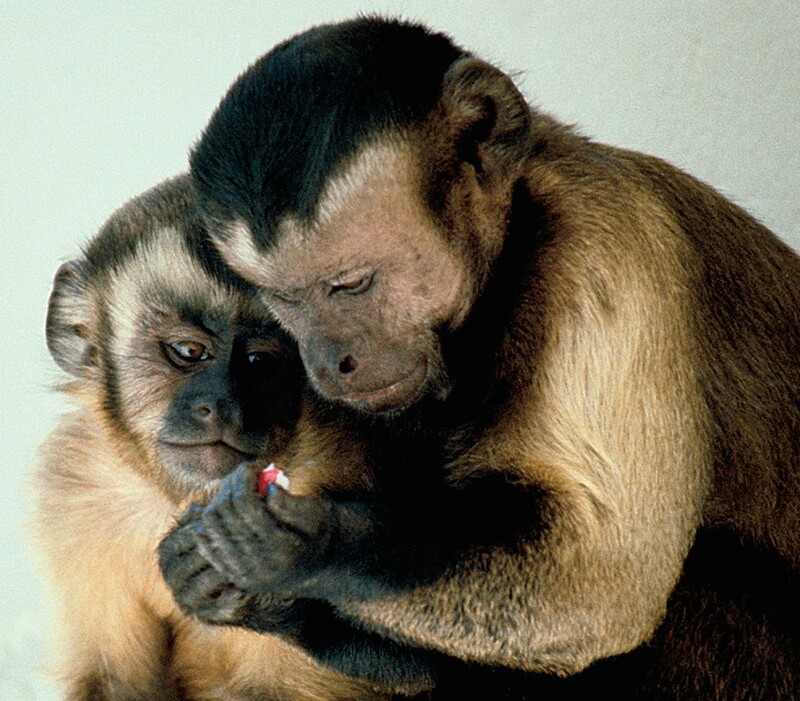 If you ever doubt that animals have the capacity to share, look no further than chimpanzees and capuchin monkeys. 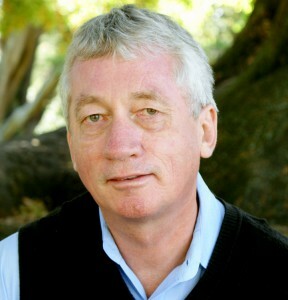 Frans de Waal studies primates, and he teaches psychology at Emory University. He says says looking at the way other primates share sheds light on the way humans act. Many cooperative animals, like lions and hyenas, have to share to survive. Although a snarling pack of hyenas around a dead zebra may not look friendly, de Waal says, they’re still sharing. They’re not chasing one another away because they need each other to survive. Then there are other animals, like chimps and bonobos, that share in a more familiar way. De Waal says chimpanzees have a sense of fairness. They know if they’ve gotten a raw deal, and they’re unhappy about it. Studies have shown the same thing with human infants and a number of other animals, so it seems the expectation of fairness may be inborn. De Waal studied this fairness issue first in capuchin monkeys. Two monkeys were given food in exchange for performing a task. “If you give them the same foods they will keep doing the task forever,” he says. That changes when you start giving one of the monkeys a better food—grapes, for instance—but continue giving the other one a cucumber. De Waal says there are a couple of forms of fairness. It’s the simplest form that leads capuchin monkeys to protest when they get a slice of cucumber instead of a grape. A more advanced form is based on seeking fair treatment not just for yourself but for others. That is, even if you get the grape, you’re unhappy if your neighbor gets only a slice of cucumber. Tests show that monkeys, dogs and crows do not possess this sense of fairness, but humans do. And de Waal found that chimps do, too. In Frans de Waal’s book “The Age of Empathy,” he says that humans are inherently altruistic. But if the purpose of altruism is to maintain good relationships and ultimately benefit ourselves, is it genuine altruism? De Waal would say yes. De Waal says altruistic acts may have a background of self-interest, but it doesn’t mean that they are selfish at the psychological level. At the psychological level, De Waal says, he is being a pure altruist by comforting a child. At the evolutionary level, though, the behavior is benefiting his species. De Waal says social Darwinism and the idea that people only have an obligation to themselves is a mistaken view of nature. Humans, he says, are a prime example.